If someone would have told me ten years ago that I would spend an entire Saturday shopping, I would have called you crazy. 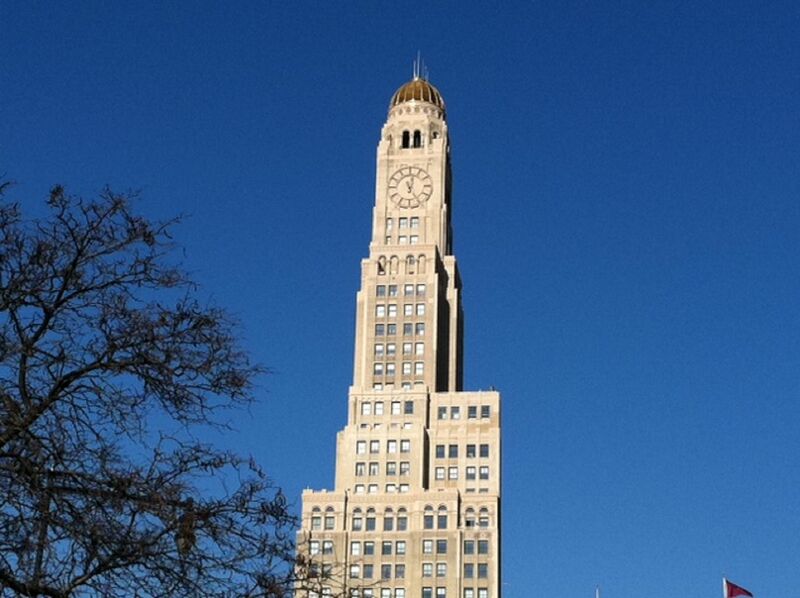 Yet that is exactly what happened this past weekend on an unseasonably warm winter’s day. 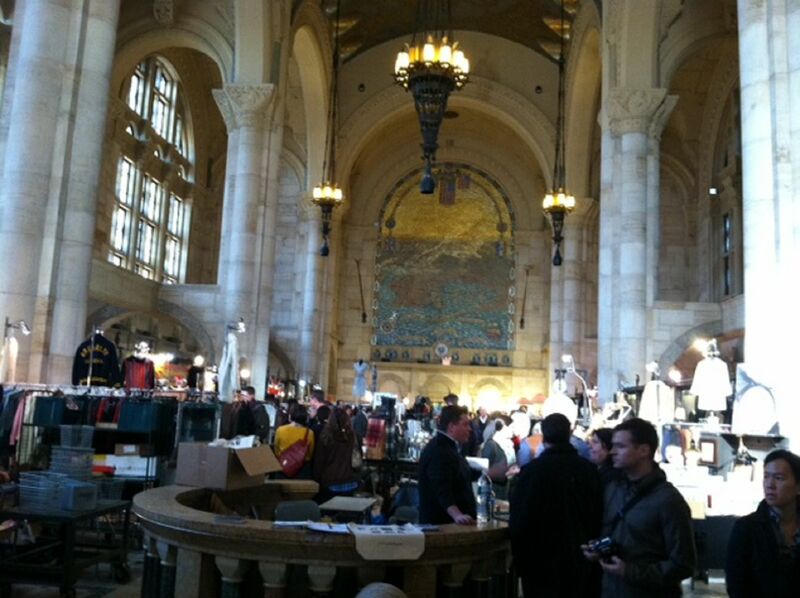 The Brooklyn Flea has returned to the historic Skylight One Hanson building in downtown Brooklyn and with that comes a plethora of local businesses to buy wares from and savory new food options to try out. The weather outside was in the fifties that day which only added more volume to the hordes of curious shoppers looking for something to pick up with a nice price tag on it. 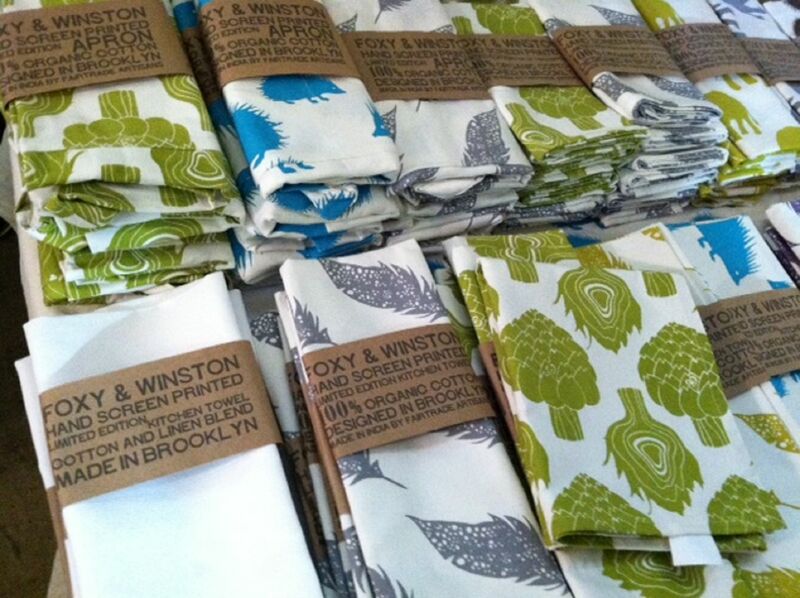 The first table we spotted belonged to the Red Hook based Foxy & Winston. The stand had a sizable crowd around it, so we knew this would be our first stop of the day. Established in 2005 by Jane Buck, an illustrator and British ex-pat, Foxy & Winston is a green, very forward thinking company focused on creating both original and earth friendly designs. My favorite product had to be the Organic Artichoke Apron ($45), transforming an ordinary household staple into a cool piece you can be proud to wear when baking in your tiny New York kitchen. 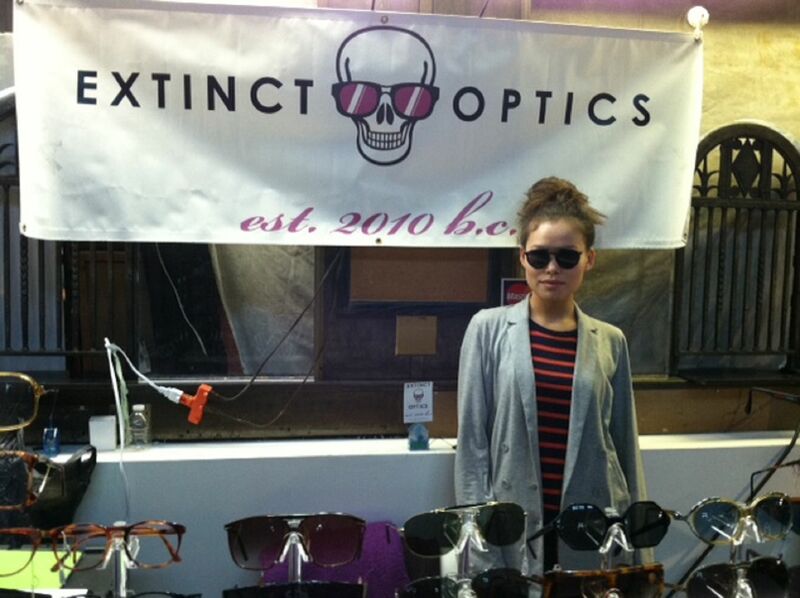 If you have a penchant for sunglasses like I do then a stop over at Extinct Optics is essential. They have an incredibly impressive collection of vintage frames, each of which is rare enough to have less than ten pairs available on a given day. This makes each piece unique, making your purchase that much more gratifying. 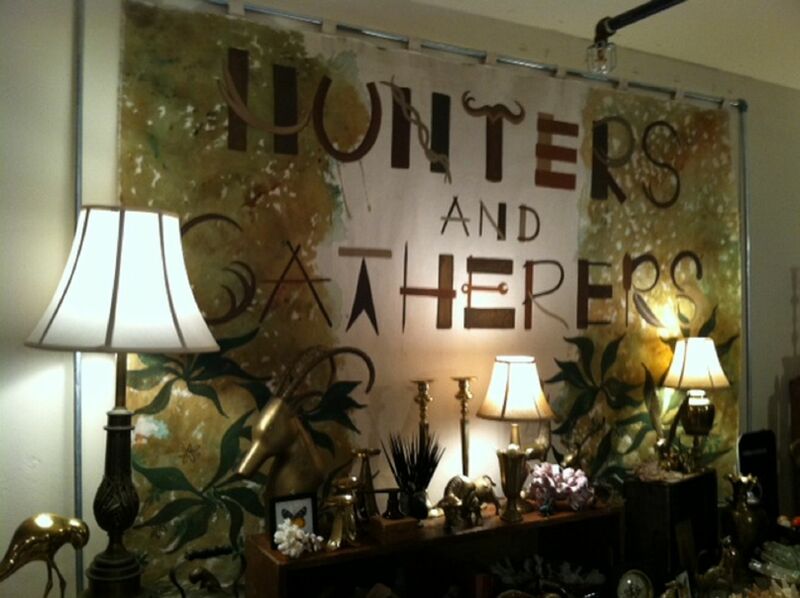 Just downstairs you will find Hunters And Gatherers, a curiosity shop filled with home decorating options fit for the adventurer in all of us. 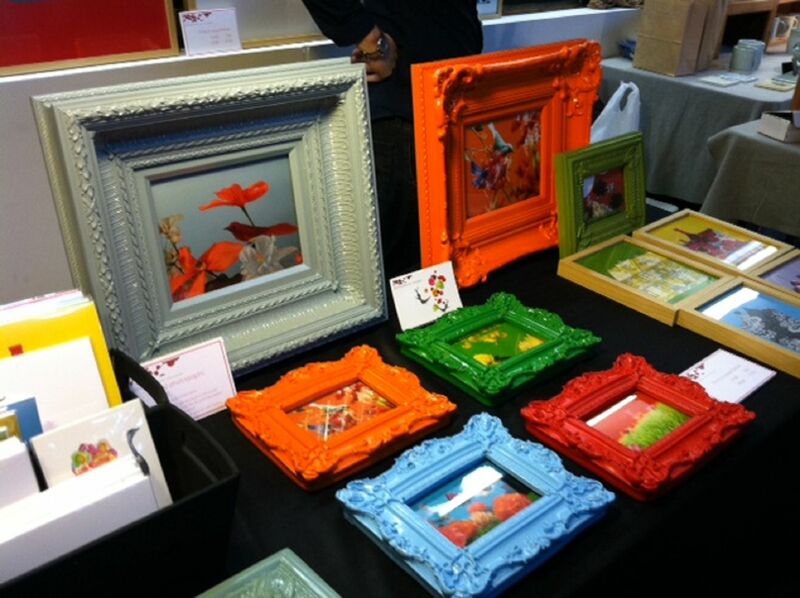 Give your apartment a fresh look with some antlers, or stuffed gators, or wild animal themed book ends! Let’s talk food options for a hot minute. After a long day of seeking out deals and purchasing items to one up your neighbor, you’re going to need a break for a bite. 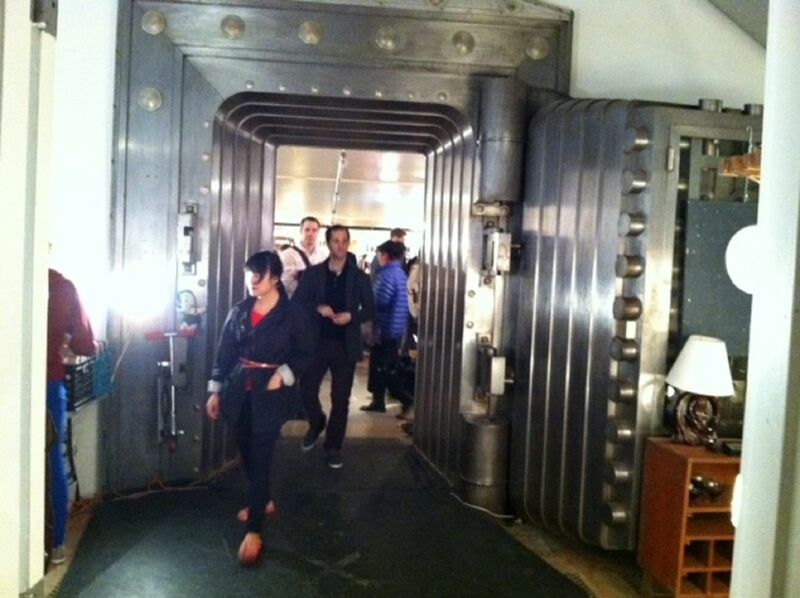 Most of the food options are still downstairs in the classic bank vault which is a sight to see on its own. 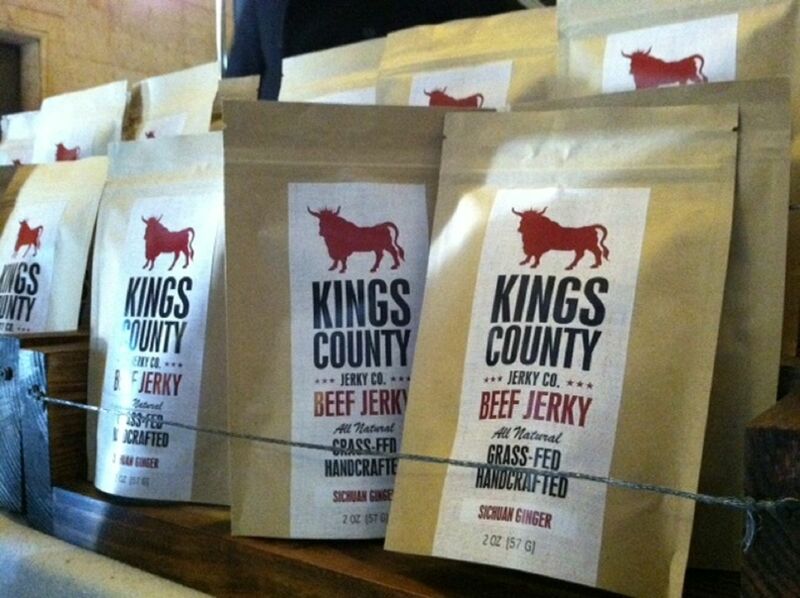 But before descending the marble steps we had to make a pit stop at locally made Kings County Jerky. 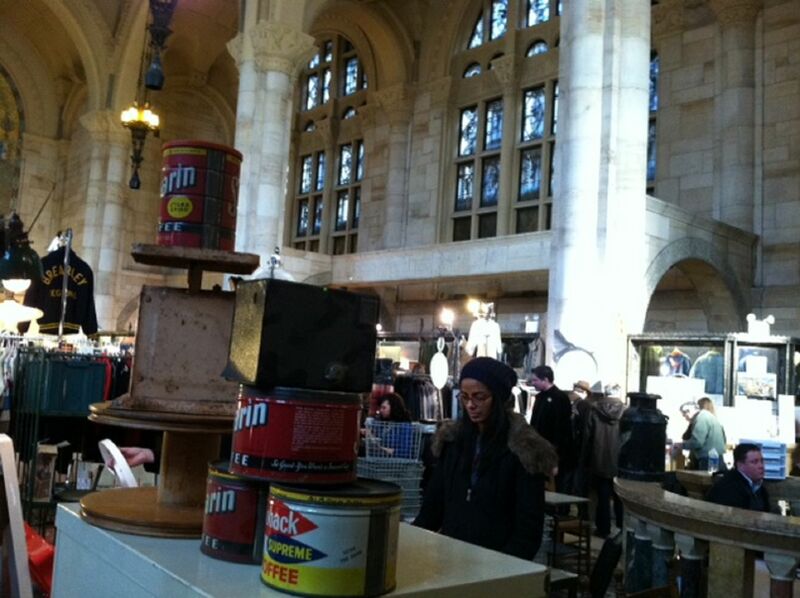 We were thrilled to see the Brooklyn based company set up shop at the flea, and chatted with its owner over a piece of Korean BBQ Beef Jerky. This original and most important all natural food product is made with red chile paste, toasted sesame, garlic, and a blend of fiery Korean BBQ flavors. It was sweet with a nice heat kick and makes a perfect Super Bowl party snack. 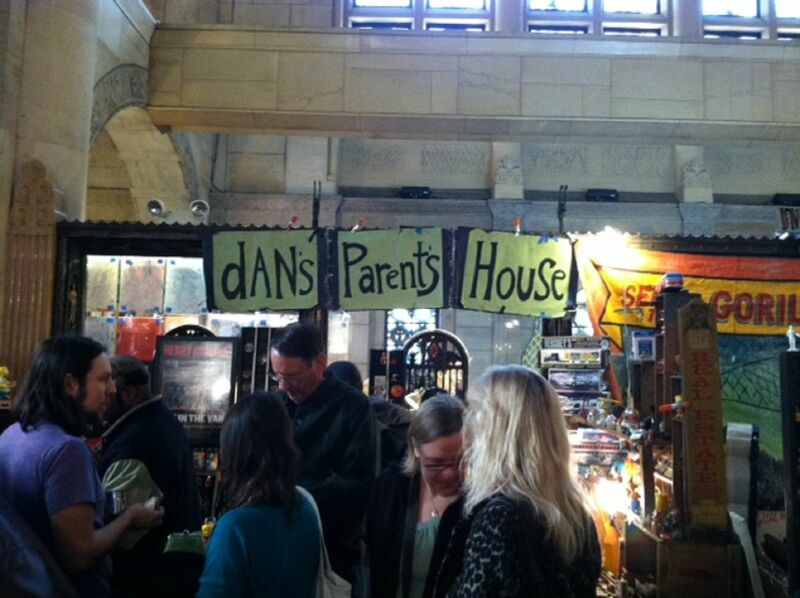 After grabbing a sack of jerky, the downstairs area showed no shortage of excellent full meal options. As soon as I entered the dining area, the scent of slow cooked meat wafted up my nose. 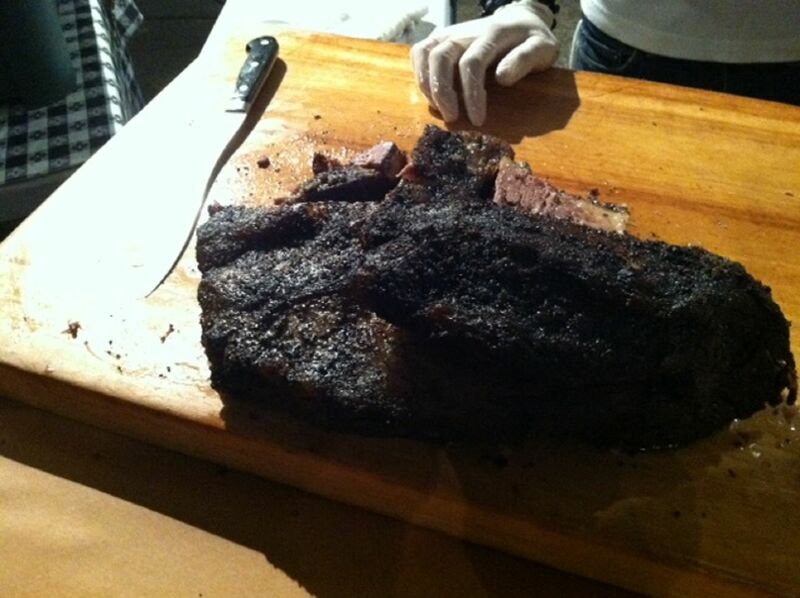 My senses did not fail me, as I nearly floated over to Lonestar Empire who were serving up mesquite slow-smoked brisket. 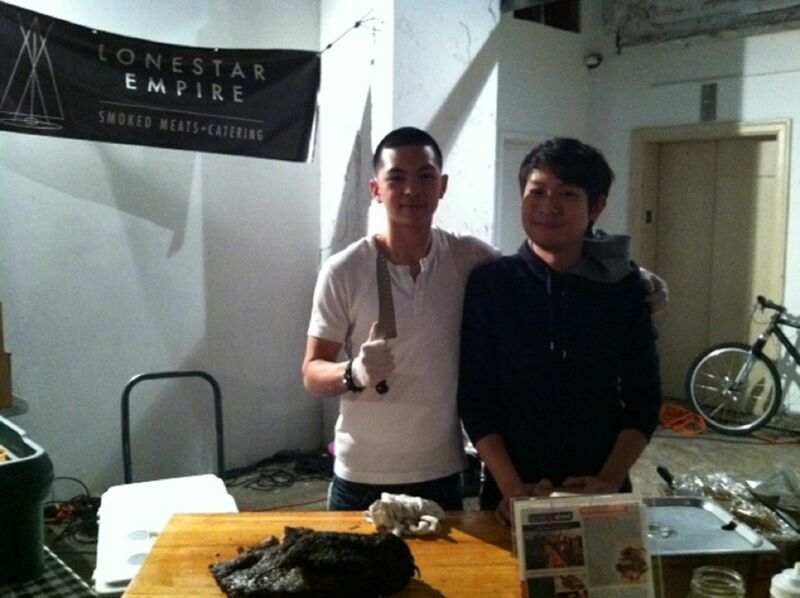 The meat-centric company was formed by two Texans who fix on bringing true BBQ to Brooklyn. And just like a standard barbeque joint, once they run out, that’s it for the day. Luckily they start serving up their fare at 11am which makes hitting Lonestar early a must. Hungry for a hearty sandwich? 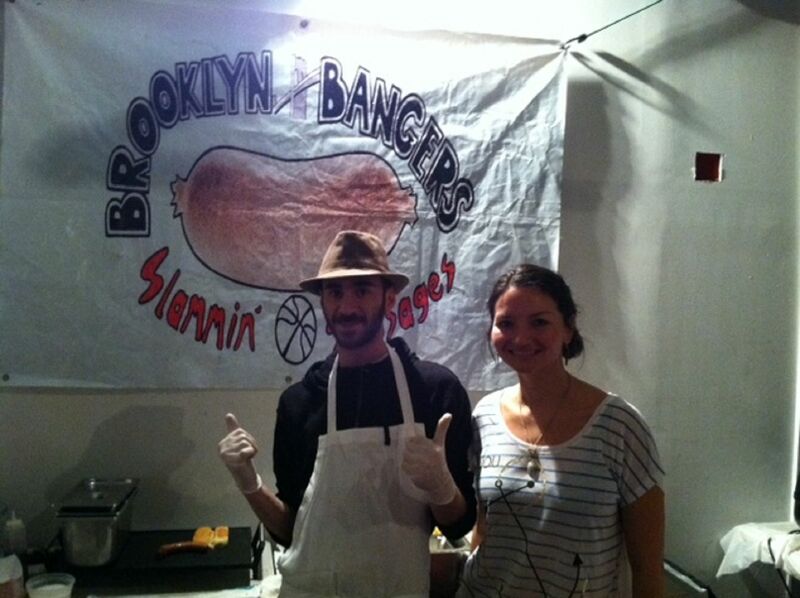 Head over to Brooklyn Bangers Slammin’ Sausages. 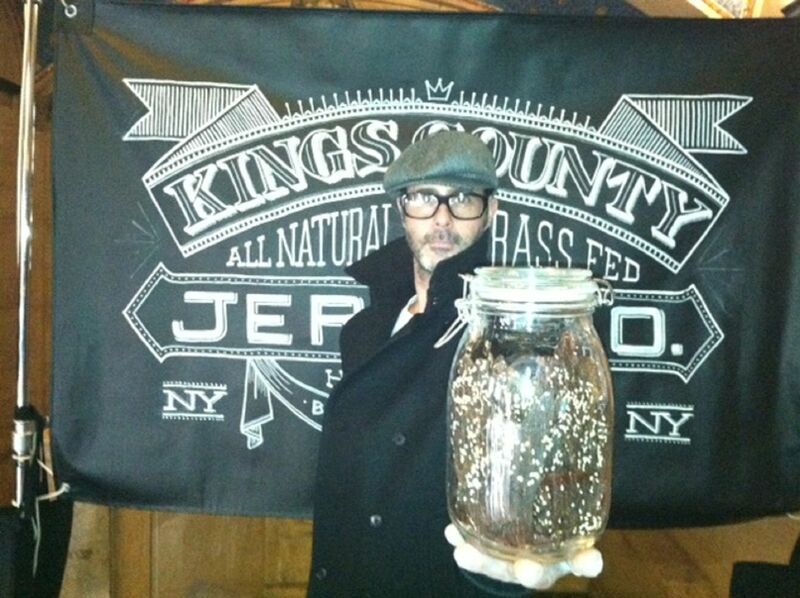 Brooklyn Bangers is in the same restaurant family as the popular Prospect Heights eatery, The Vanderbilt. 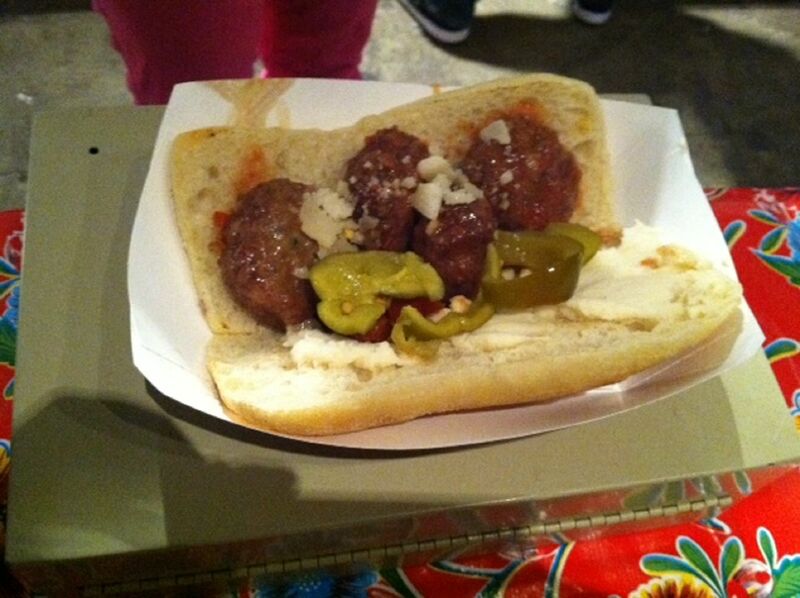 If you’re heading over to the market this coming weekend, be sure to try their “Meatball Parm Sandwich” ($7) which includes pickled cherry peppers and tasty fonduta. 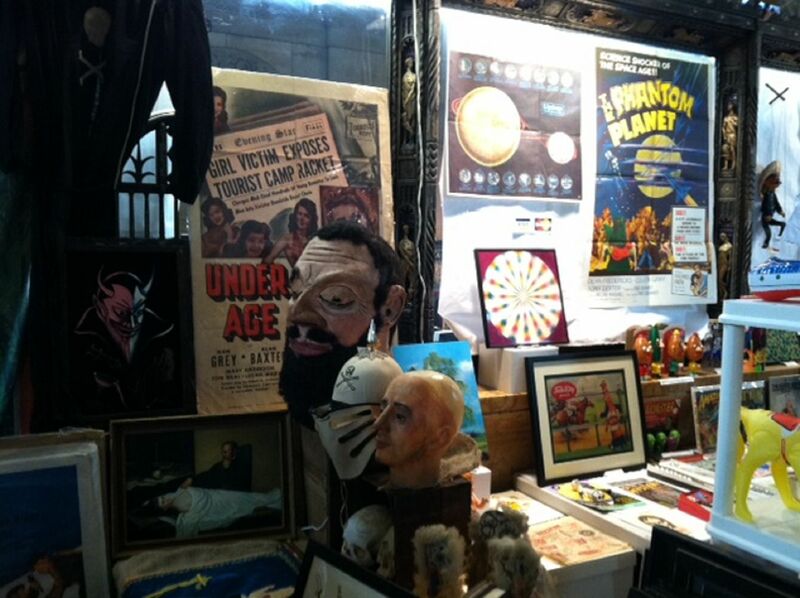 2012 brings with it some truly exciting new options to the Brooklyn Flea. New businesses tend to pop up throughout the season, making each visit unique and fun. So get on the train and head across the river every Saturday and Sunday this winter from 10am-5pm.